Deal will give Fidelity IWS, National Financial advisors preferred pricing and educational tools to reach emerging and mass affluent clients. Following up on its partnership with robo-advisor Betterment Institutional, Fidelity Institutional Wealth Services on Tuesday announced a collaboration with LearnVest, which will provide Fidelity IWS RIA and National Financial broker-dealer advisors with preferred pricing on LearnVest’s subscription-based digital advice platform. In addition, the partnership will allow advisors to give emerging and mass affluent clients access to a “financial wellness” microsite with content provided by LearnVest. Mike Durbin, Fidelity IWS president, said in an interview on Tuesday that the LearnVest deal is part of Fidelity’s overall practice management and consulting platform for its advisors. Durbin wouldn’t be specific about the discount advisors would get on providing LearnVest’s platform to end clients, saying only that it would be a “meaningful percentage reduction” based on “how many users” signed up. 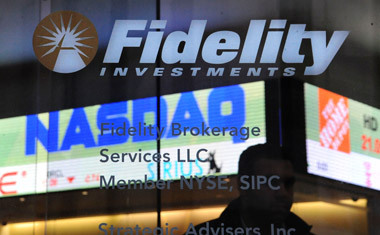 Fidelity will not be receiving any monetary consideration from LearnVest for those users, Durbin said, but pointed out that Fidelity-affiliated advisors and reps (including independent recordkeeper, broker-dealer and family office clients of Fidelity IWS, National Financial and Fidelity Family Office Services) would have free access to the LearnVest content. “We’ve paid for that,” he said. The “financial wellness” content would be of particular value to retirement plan participants, he said, since it covers not only retirement planning per se but also other topics such as budgeting and college planning in addition to how to maximize 401(k) contributions. Fidelity also released a white paper, Digging into Digital Advice, designed to help advisors figure out whether and how to provide their own digital platforms to attract younger investors. To “the extent that they have aspirations to grow their practice” by “making inroads into successive generations, or geographically or into some other demographic segment … are you resourced to do so?” Durbin said that “as the white paper tries to articulate, there’s a lot of hard work that goes into this decision.” As for Fidelity’s own strategy, Durbin noted that Betterment Institutional and LearnVest are “very different models” reflecting the fact that “RIAs work in an industry where one size rarely fits all,” so Fidelity will present a “range of interesting solutions” to its advisor clients. In mid-October, Fidelity announced a partnership with Betterment Institutional (BI) under which Fidelity IWS advisors could use the BI platform to provide advice to smaller clients; Fidelity would be compensated for the assets that advisors moved to BI. Other custodians are also active in the robo-advice space. Schwab Institutional announced in late October that it would launch its own digital advice platform, called Schwab Intelligent Portfolios, in the first quarter of 2015. TD Ameritrade Institutional said in October that it would take an “open-architecture approach” to digital advice, citing the presence on its Veo platform of a number of robo-advisors and digital advice tools that its RIA clients could either adopt outright or use to build their own offerings.